One of the most frustrating parts of being a reporter is when you publish a story you think is a really huge deal, full of all sorts of outrage, but it appears to make very little splash. Nothing feels quite as lame throwing out a bombshell and watch it fizzle out with a whimper. So it was the case with our 2012 cover story, "The Meat Grinder," about the crazy debt-buying, debt-collection industry. It was a national issue that, back then, had gotten very little national coverage. The Inlander learned that credit card debt was being bundled up together, divided up, parceled out, and sold from one company to another. Law firms were then hired essentially auto-file lawsuits to garnish the wages of those debtors. But because the debt had been traded back and forth so many times, the new owners of that debt often couldn't prove they owned the debt. And in the process of changing hands, the accuracy of the information suffered. Some debtors were being charged on debt they already paid off, or on debt they never had to begin with. Sometimes they were being charged twice for the same debt, by two different debt-collecting firms. Lawyers who hadn't even read the associated documents were asking courts to garnish wages on these debtors. 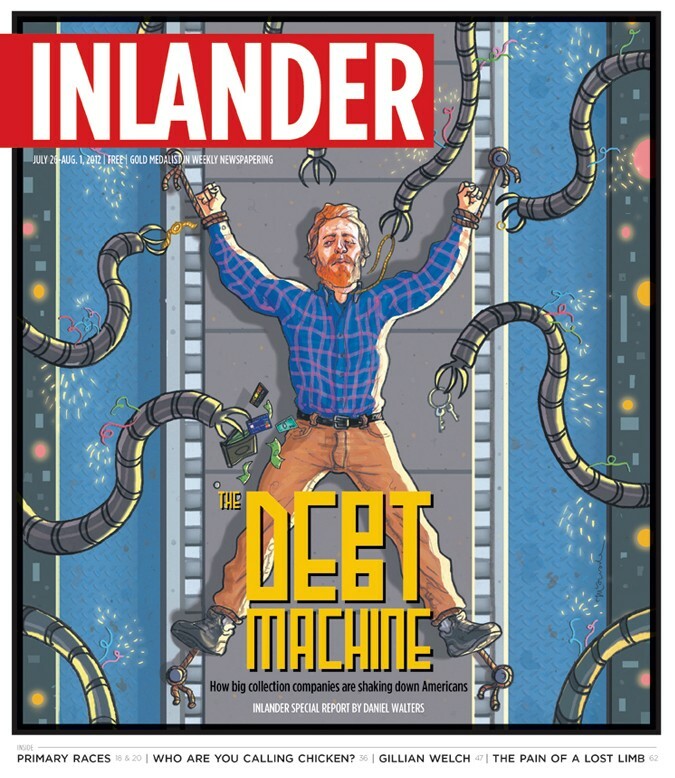 As is often the case with mid-sized alt-weeklies, however, the Inlander's cover story did not go viral. But do you know who's pretty darn good at going viral? HBO's Last Week Tonight host John Oliver, that's who. 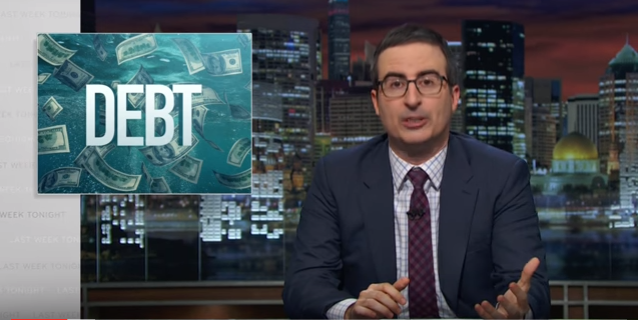 In last night's Last Week Tonight, Oliver covered much of the same outrageous territory as we did, but with an added twist: Oliver started a debt-buying company spent about $60,000 to buy up nearly $15 million of old medical debt for pennies on the dollar, and then unilaterally forgave them of that debt. For a lot of this reaching the public eye, you've got to thank Jake Halpern, an investigative journalist who, in 2014, wrote a book called Bad Paper, diving into the cutthroat (and crazy-unethical) world of debt-buying.